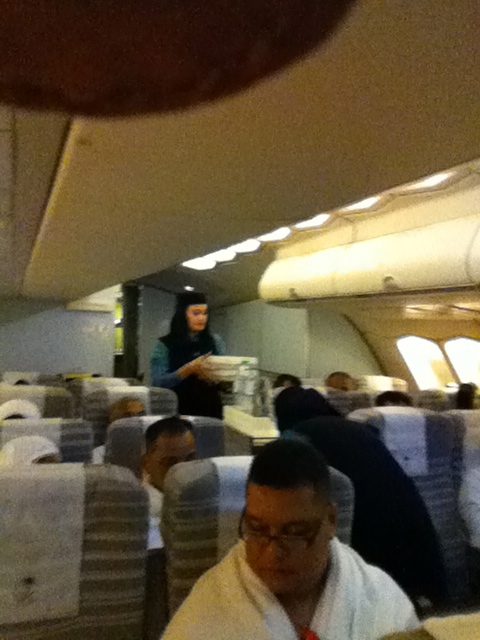 The journey was OK on a Saudi Airline. 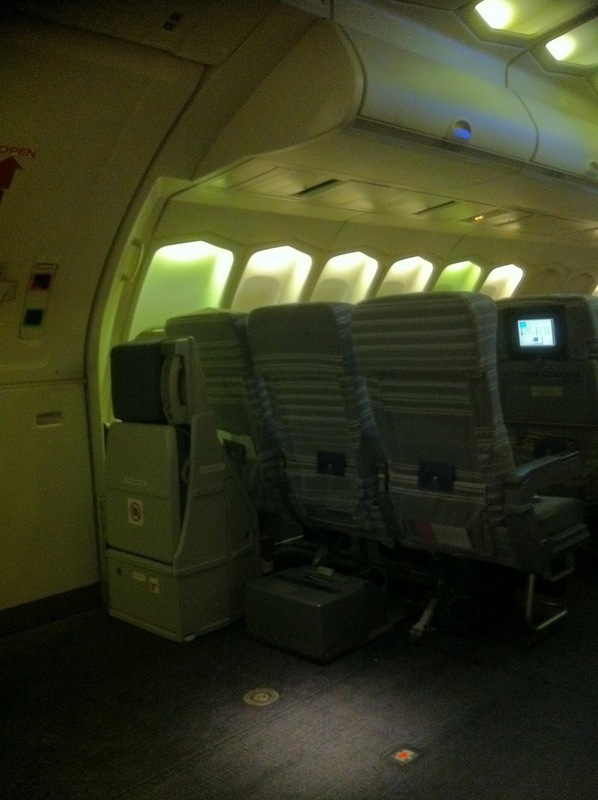 We were on the upper deck of B747—nothing special just less crowded. The journey took about 8 hours; it seems a long one but we mainly slept most of the time so it’s not so bad. They did not even put the movies on, buckeroo sungguh..but again pakcik makcik bakal haji don’t watch movies, right. So nothing much to do on this flight. I joined everyone and slept most of the way. 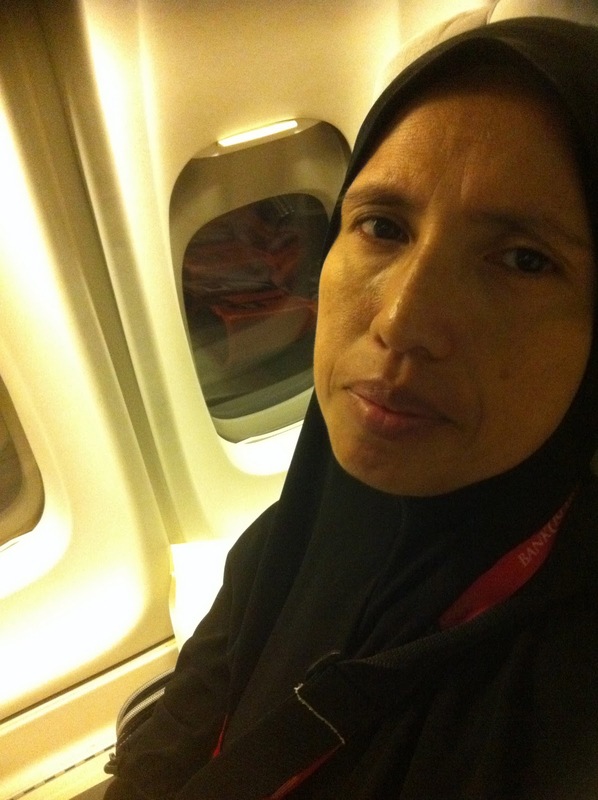 Only to wake up whne they serve meals; one early into the flight and another one an hour before the landing. Which one was dinner and which one was a breakfast, I did not really care—airline food tastes the same regardless. With the iphone technology we managed to find the current time and place for Fajr prayers. It was over Kolkata, India when the Fajr Sidq was spotted. If you need more information on in-flight solat please go to zaharuddin.com where Ustaz Zaharuddin gives detail arguments on this issue. Tabung Haji practices “solat hormat waktu” for all the bakal haji; referring to doing the solat in your seat with or without wudhuk, facing to the front and then qadha it later on. I think that’s is too lenient for something very important such as solat. 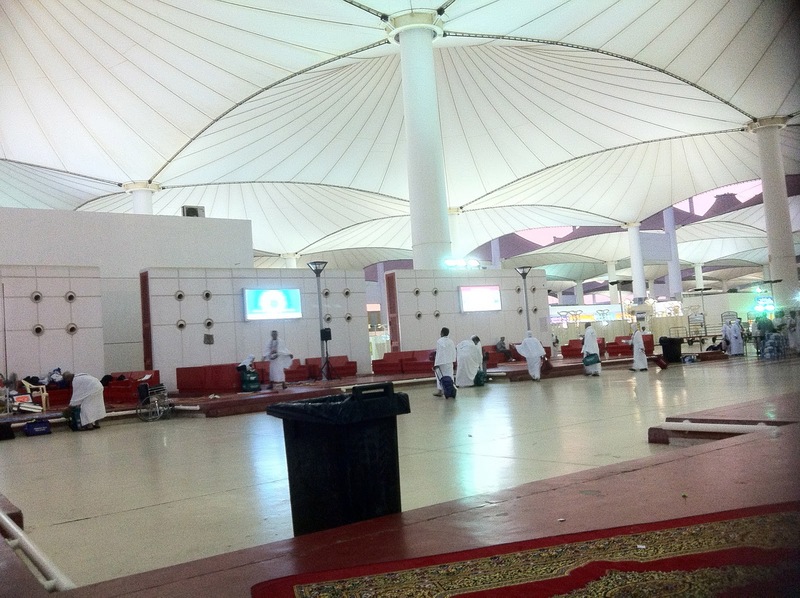 The Hajj terminal in Jeddah has changed since the last time we were here in 1998. During that time the ground was only a tarmac and with very minimal facilities. Everything has changed and beautifully renovated ( maybe not as much as KLIA but good enough to welcome these third world passengers). 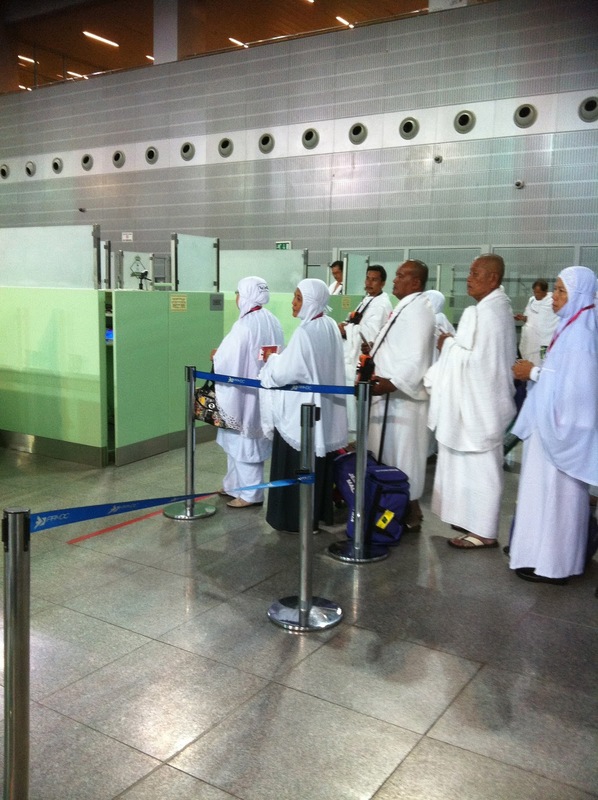 The immigration services has also improved with quick and pleasant hospitality. 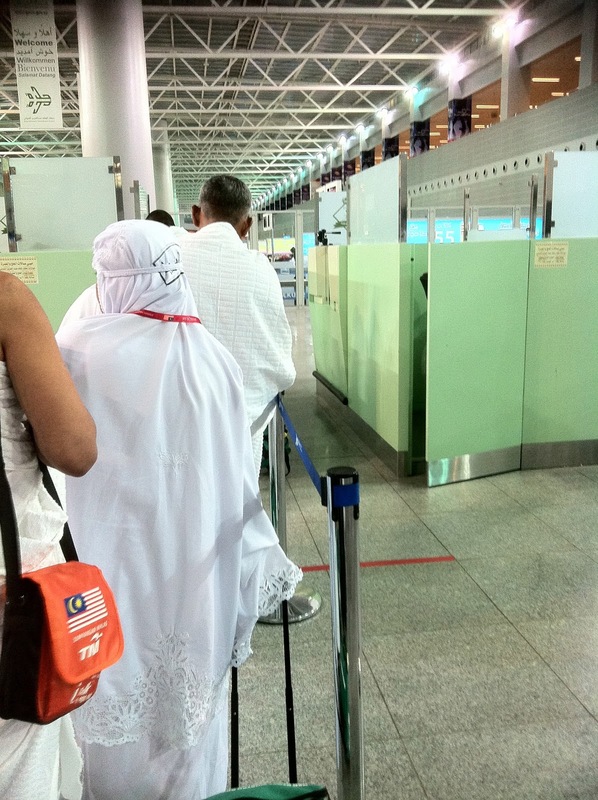 The queue at the immigration check-point. We were through in less than half an hour. 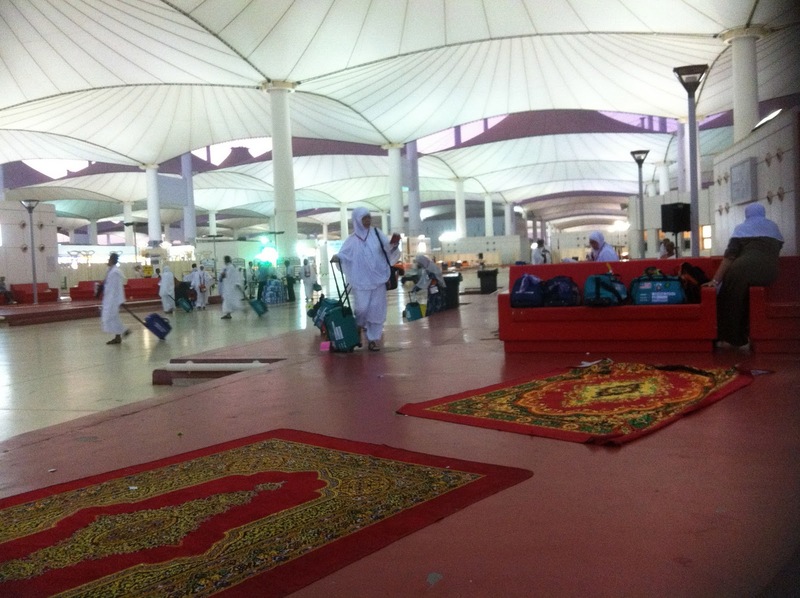 The waiting area for those coming in from SE Asia and this part is for Malaysia. Quite comfortable and the toilet was clean too.